The opposite leaves are a little unusual. Field Notes: Coll. No. 1704, 14 Jul 2017. 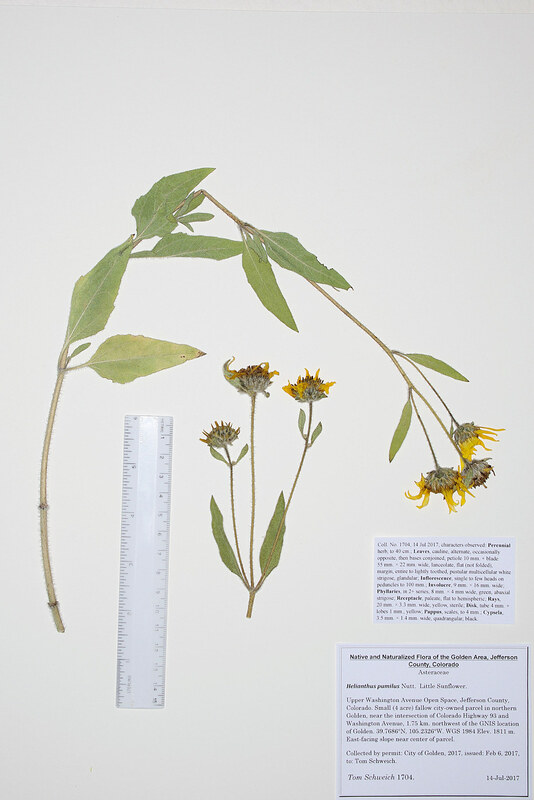 Other photos about Species - Asteraceae or Helianthus pumilus.